Adult Dance Classes Woodbridge: Should You Take A Social Dance Class? Are You Cut Out For a Social Dance Class? We have all been to a wedding or a social event during which people let loose and hit the dance floor to have a little bit of fun. However, there are always a handful of people at every event who claim they can’t dance and therefore, remain in their chairs and watch everyone else have all of the fun. Perhaps one of these people is you. If this is the case, we encourage you to continue reading below so that you can uncover the true things you need in order to be a “dancer”. Honestly, what can you think of that is better than dancing? Sure, other people may not place shaking their groove thing high on their list of favorite activities but we certainly do at the Modern Ballroom Dance Studio. We are also in the habit of changing how other people feel about dancing, and you guessed it, you are no exception. So what is the best thing about dancing? We think that it is the way that literally everyone can participate regardless of their experience or skill level. If you are still uncertain about whether or not that includes you, however, you should ask yourself the following questions. You may think you read that wrong but you definitely did not. So let’s talk. If you are alive, then you have met the basic requirements to hit the dance floor. Not to mention, you truly only live once, so why in the world would you spend your time being a wallflower when you could be shaking it to your favorite song? Whether you prefer to two-step or cha-cha, there is a dance out there for everyone and taking advantage of each day to the fullest is the only real way to live your life. Unless you are someone who likes to wallow about everything all the time like the human equivalent of Eeyore, there is absolutely no reason that dancing can’t bring you joy. When you move your body it will begin to release endorphins which will lead to you feeling happier. There is also the happiness that comes with being brave and doing something you never thought you would be able to. All in all, dancing can make you feel a level of elation that you may not have experienced in a while. There aren’t many people who we have ever come into contact with who don’t like music. And let’s face it, if music is the macaroni then dancing is the lovely decadent cheese. Sure, maybe dancing hasn’t been your thing in the past but that doesn’t mean it won’t be your thing in the future. Plain and simple, if you are a fan of music, you will likely be a fan of dancing once you give it a real shot. Chances are that there was a time in your life during which you weren’t as opposed to dancing as you are now. Whether you used to go to dance clubs in your early twenties or you simply like to dance alone in your bedroom as you get ready to go to work, every person has a bit of dancing experience. It is important to know that dancing at a dance studio is nothing like dancing at a club or party. It is going to require a good amount of effort from you, but it will also be so much more rewarding. Just make sure that you sign up for a class that excites you and you will surely be hooked after your first class. As you can see, there are plenty of reasons to begin dancing regardless of how you have felt about the act in the past. 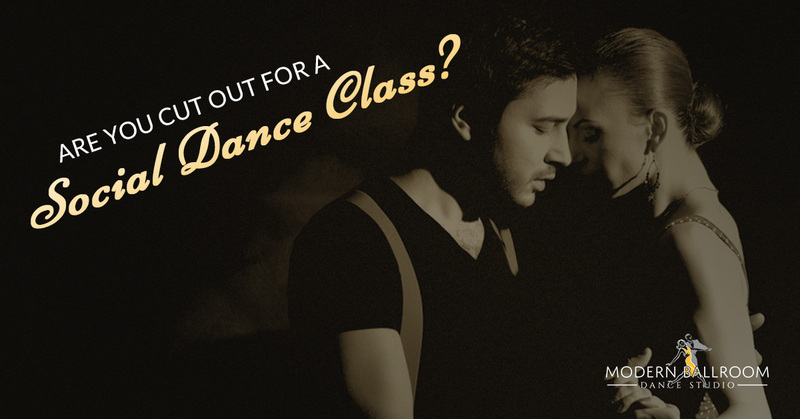 If you are now considering signing up for a dance class once and for all after reading this post, we would encourage you to simply bite the bullet. At the Modern Ballroom Dance Studio, we are always taking new students and offering a number of different classes. Check out which one you think would be right for you and enroll in a Woodbridge dance class today!